Hike the Inca Trail through the Andes Mountains to the ruins of Machu Picchu or learn to speak a little Quechua, as you encounter indigenous peoples deep in the Amazon — this is Peru SST. 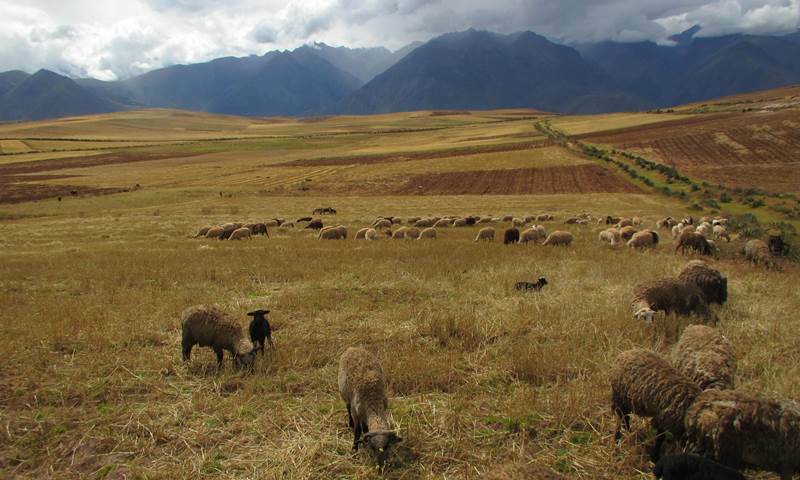 Located in South America along the Pacific Ocean, just south of the Equator, Peru is home to the Andes Mountains, the Amazon rainforest, a desert blanketing the coast and a wealthy capital surrounded by shantytowns. It is a country of contrasts – making it very appealing as an SST location. 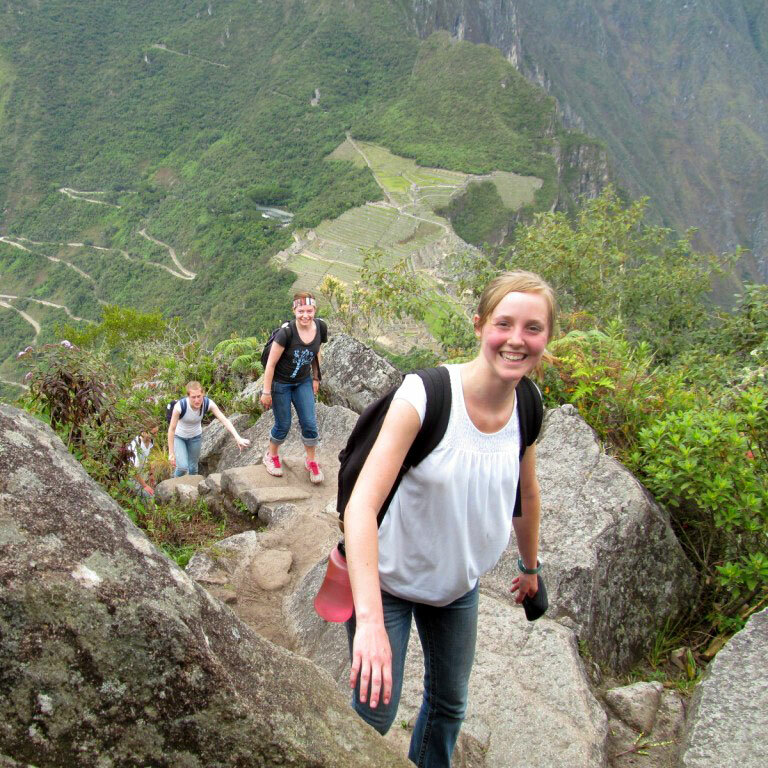 On Study-Service Term in Peru, you will experience the rich landscape and culture of the country, including the ruins of Machu Picchu. Sixty percent of the country’s population is made up of indigenous people – the Quechua, descendents of the ancient Incas. 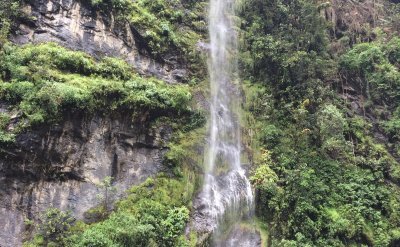 Students who go to Peru will experience some of the best of Spanish culture, but tempered with a strong indigenous flavor. Students can anticipate the cuisine they will encounter includes a lot of seafood. The food is a combination of influences from the indigenous people in the Andes and the Amazon, the Spanish and Africans. 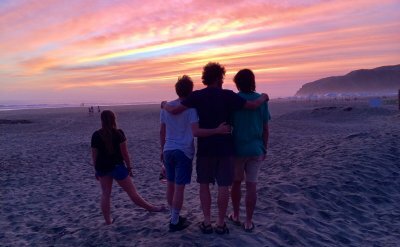 Students can anticipate studying for the first six weeks as they live with families in Lima – a modern, growing city of eight to 10 million people. During daily seminars students will explore the vibrant Incan and pre-Incan history, the 1980s civil war, as well as lectures on the success of the women’s movement in Peru and the mass migration to urban centers in the Third World. 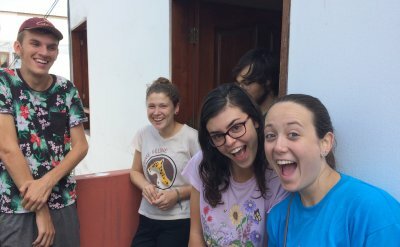 During the second half of their three month stay, students will spread out across the country to live with families and volunteer at service assignments, which might include working with clinics and hospitals in the Amazon, volunteering at a Quechua women’s weaving cooperative or working with a nonprofit such as Eastern Mennonite Missions, World Vision or Habitat for Humanity.